Today was a long day but a good day. I left my apartment around 8:30am and I didn’t get home until sometime after 10:00pm. My poor cat was home by herself again all day! I felt sorry for her when I heard her purr today because it is rare that I get to hear her purr so when she does I know that she missed me. Sometimes I wonder what she does when I’m not home and she is by herself all day. I guess she probably sleeps a lot, eats and maybe waits for me to come home. 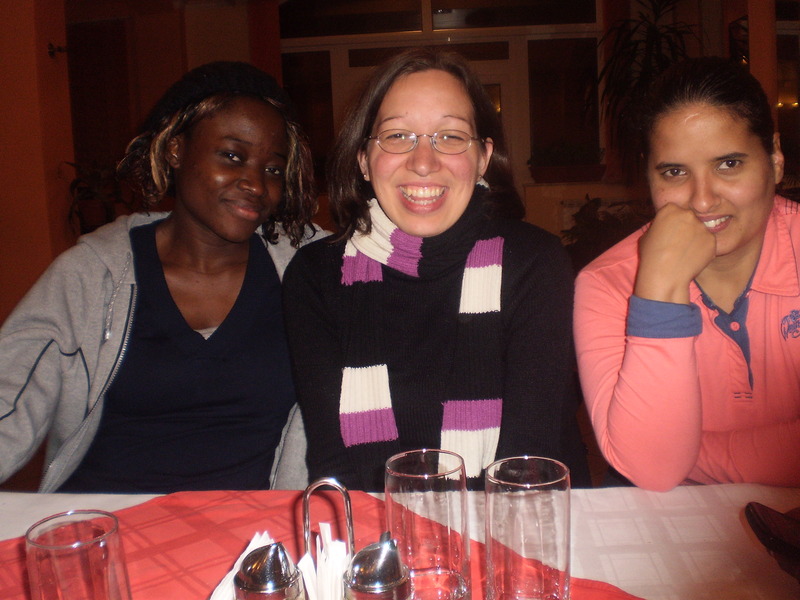 With my friends Ufuoma and Vera! the youth/ young adults which was nice. The interesting thing for me was I felt like a minority because I was one of the few white people there during the day. Now I don’t mean that in any form of disrespect whatsoever but it is very unusually and almost rare to be surrounded by black people in Romania that’s why I felt like the minority. All of the young people had such a genuine and passionate heart after God. I enjoyed meeting them and getting to know them throughout the day. In the morning and in the evening Pastor Tywill spoke on “No one should despise the Youth”. Both messages were very good and challenging. Pastor Tywill is the National Youth Pastor in Ireland for The Redeemed Christian Church of God. It was great to see how God work in the young people throughout the weekend! I also had an encouraging conversation with Pastor Tywill in the afternoon when the guys played soccer while the girls watched. One of the wives of the Pastors that came did a seminar on “Finding Your Life Partner – before two becomes one”. It was a very interesting and helpful seminar for me personally because I have been praying about this for a while. I know that God sees our hearts desires and if it is His will that I get married He will do this in His timing. One of the things I did learn was that God has given everyone “suitable helpers” so now I just need to believe by faith that God has someone specifically just for me and He will bring him into my life at the right timing. In the evening we had a powerful time in God’s presence. The worship was awesome! 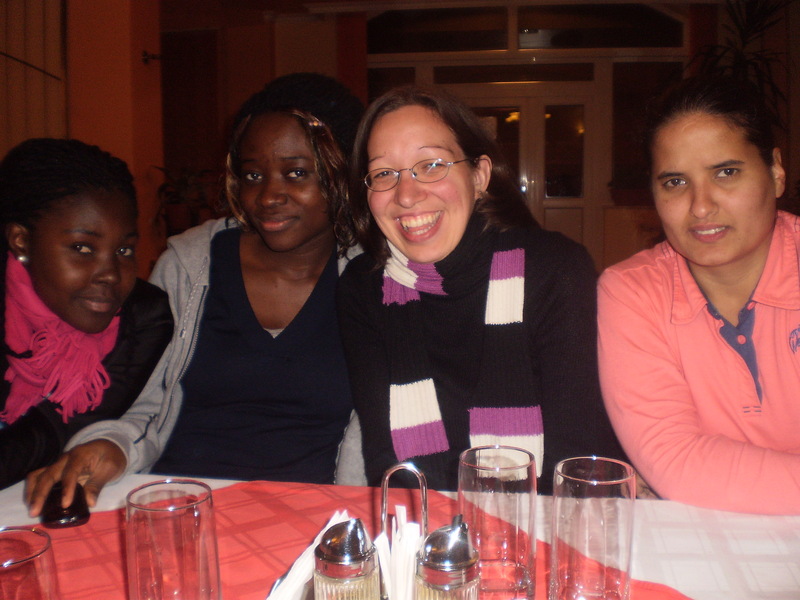 With my new friends Judith, Ufuoma and Vera! Pastor Ishola preached on our deliverance comes from the Lord. We had a short time of prayer ministry, though I wished there had been more time for individual prayer needs. I know and believe that God touched in many of our lives as we sought after Him throughout the service! It was a great day at the conference and it was so good to see Minnie when I got home because I felt so bad for leaving her all day at home.